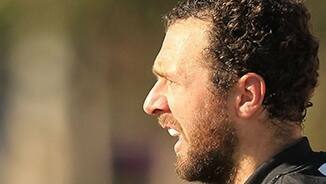 Veteran Scott McMahon has hit a rich vein of form at VFL level for Werribee in recent weeks. “I always hear, “He’s too slow. He’s too fat. The game’s gone past him"." From South Australia, Scott McMahon played for Woodville-West Torrens in the SANFL. He was a key member of the state’s Under 18 National Championship side in 2003, playing as a defender. McMahon earned All-Australian selection for his performances at the carnival, yet was surprisingly overlooked in the year’s National Draft. 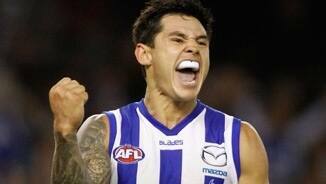 North Melbourne selected him with pick 38 in the Rookie Draft. 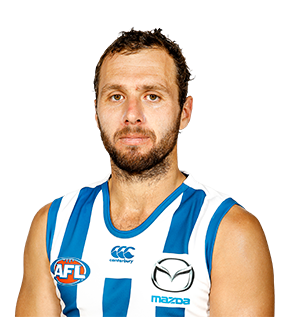 Scott McMahon was in North Melbourne’s side to begin 2014, taking his usual role in the defensive half against Essendon. 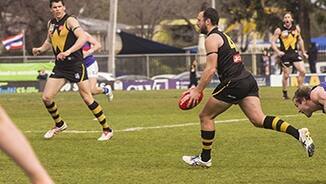 But a quiet game in the season opener meant the veteran was omitted, sent back to Werribee and the VFL. McMahon took his demotion well, responding with good performances for the Tigers. Playing on a variety of opponents while in the Werribee backline, his leadership proved valuable as the side charged towards finals. Eventually the 28-year-old’s form was rewarded with a recall to the North side, playing three consecutive games from Rounds 16 to 18. 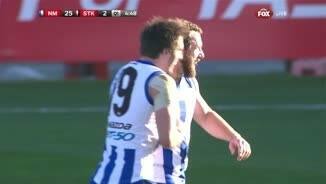 It even resulted in McMahon’s first goal for three years, a right-foot snap against St Kilda in Round 17 his first since the corresponding round in 2011 against the Western Bulldogs. McMahon finished the season as one of Werribee’s best performers in its two finals. “The beauty of having Aaron Mullett and Shaun Atley as the small defenders means we’re not always relying on Scotty to take the small, crumbing forward. Because he’s so strong he can play on taller blokes. 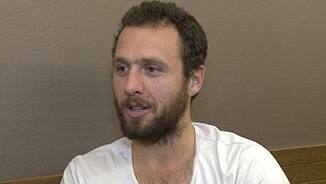 "With Scott it’s about his ability to play on different types. He’s generally one of our better organisers on the back-line. He’s almost another assistant coach in terms of organising the defence and how we set up. When the number 42 was in the senior side, his disposal was still at a high standard, as the kicking efficiency stat shows. 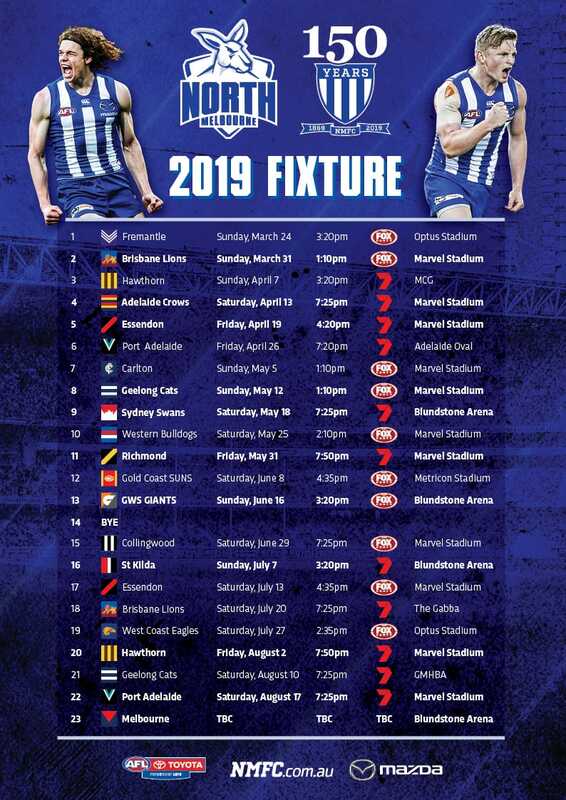 However towards the end of the year, he found form for Werribee in the VFL and was a big part of its impressive run at the end of the home and away season. McMahon returned for pre-season earlier than expected and will spend an extra week in Utah as he seeks to regain peak fitness for the 2014 season. McMahon was struck down by a severe illness which forced him to miss a large part of the first half of the season. He gained several kilos as a result of medication and took time to get back to peak physical fitness. His return to the side coincided with North's improved form. Shoring up the backline, his cool head under pressure helped the other members of the defensive six. McMahon ranked second at the club for one percenters (107) and seventh for contested marks (16). It underlined his versatility and ability to play on small and tall forwards - an impressive feat for someone who stands at 184cm. He finished the year with one of the best games of his career, collecting 29 possessions, 6 tackles and 8 marks against Hawthorn in Round 20. Playing 17 games, McMahon continued on from his 2009 season where he played every game and showcased his importance. In the four matches McMahon had more than 20 disposals, North was the victors on every occasion.